Six-year-old girls are so much fun and they are so very active. 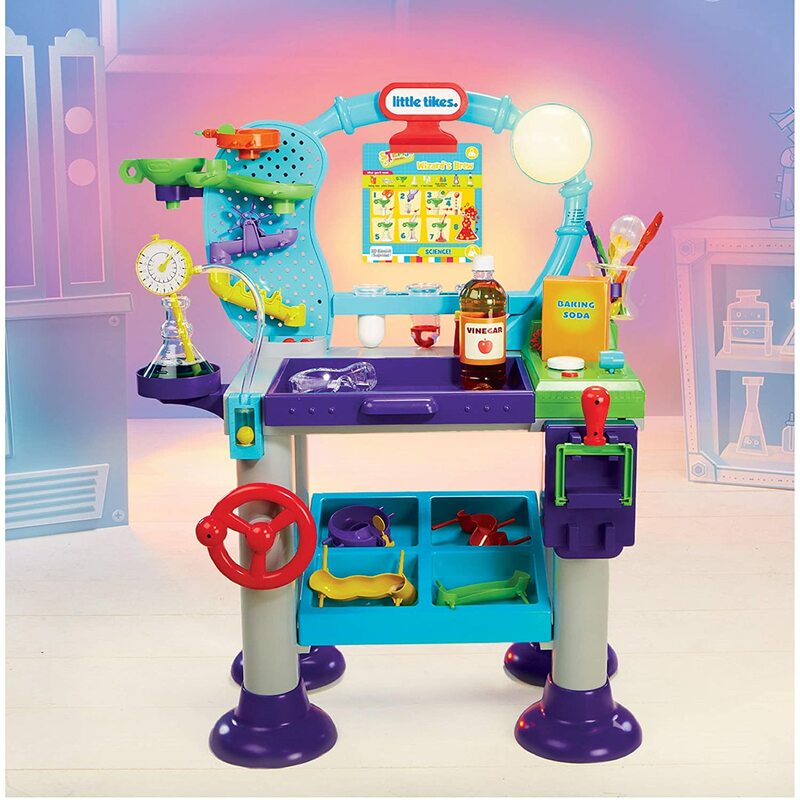 Are you looking for that special toy or gift for that sweet 6 years old girl? 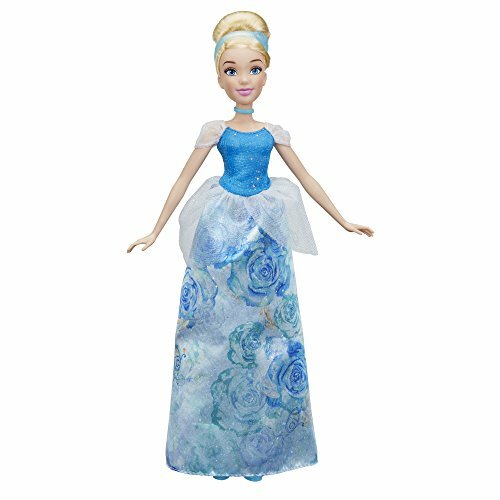 These great gifts are ideal for girls age six. 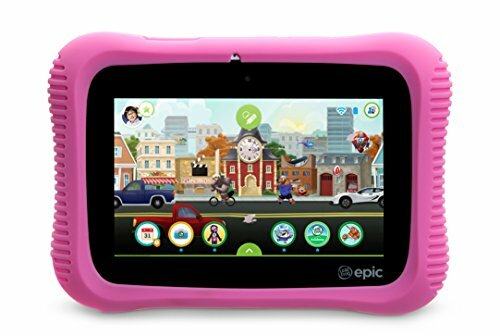 Here you will find award-winning games to outdoor play, this is a list of the top toys for girls age 6. 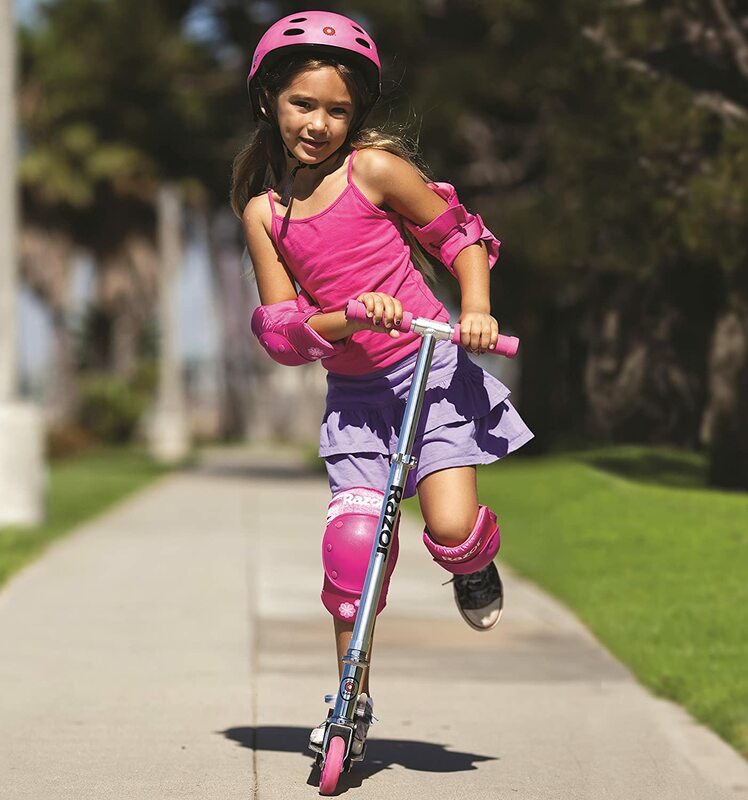 Keep them active and busy with the best toys for her. This is my very precious sweet, six-year-old niece, she means the world to me. She is Soo funny, cute in every way, and she loves to play with fun and exciting toys. She likes to stay busy and she loves to be creative with crafts! She is the one who lets me know, what the best toys are. This is my precious niece in her darling flower girl dress!! She felt like a Princess & she looks like a Princess in her darling dress! We love this dress, and now after the wedding she can use it for playing dress up. My niece is so super cute and a ton of fun!! My niece loves to stay busy, and she is very creative. She really likes drawing and playing on her scooter. 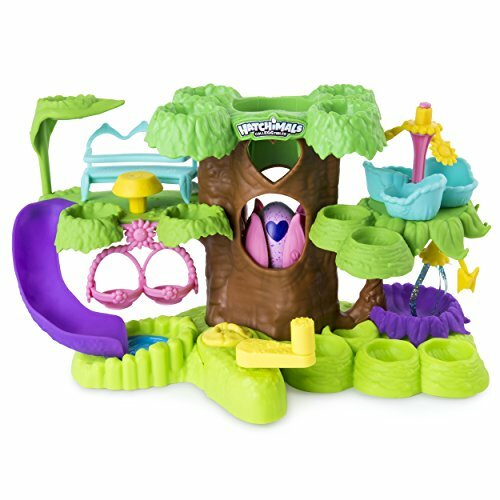 These are some of her Favorite Toys and any of these would make great gift ideas for that special little girl. 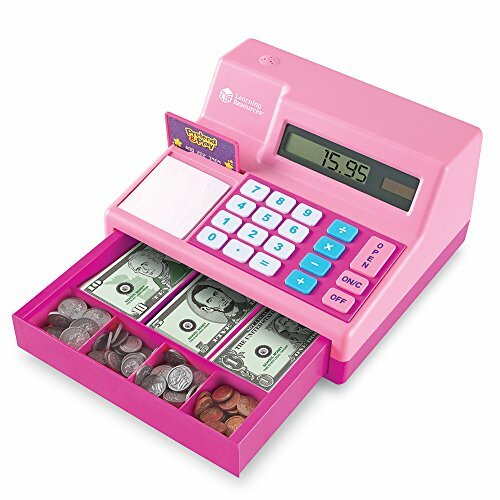 The kids use this Cash Register when they play store. 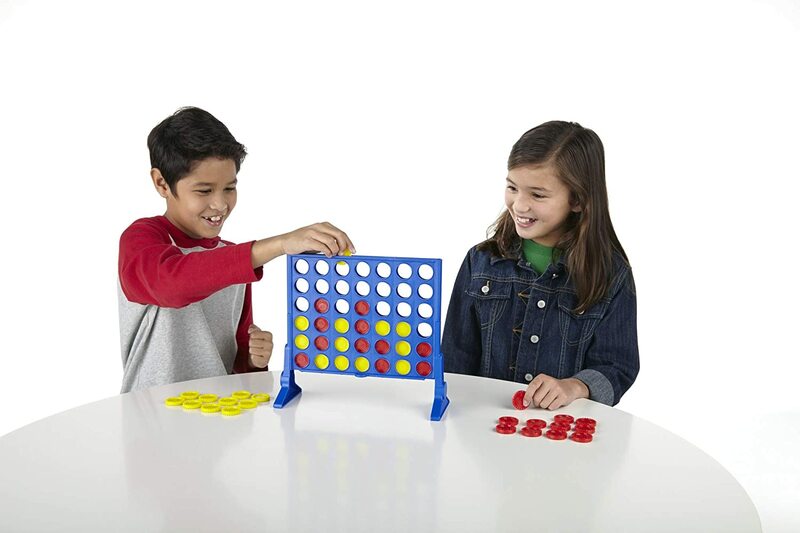 It's a fantastic toy that teaches kids to add & subtract and to make change. 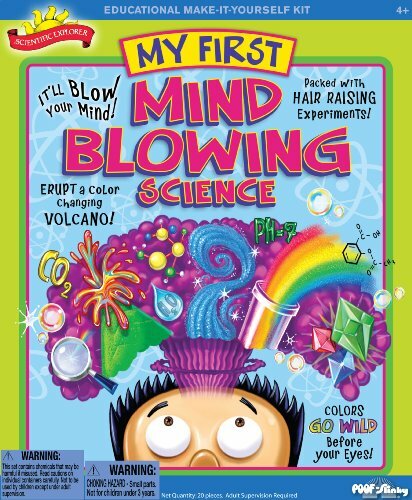 It’s great for the kids to learn just how money really works. 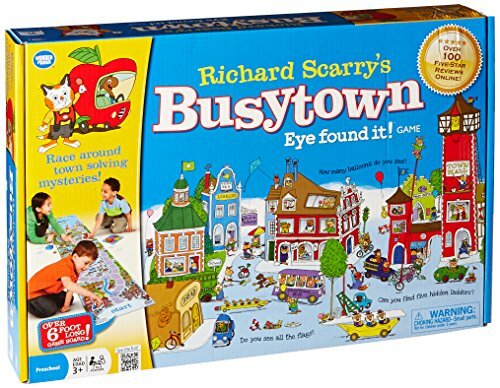 It’s an excellent toy, which all kids should own. 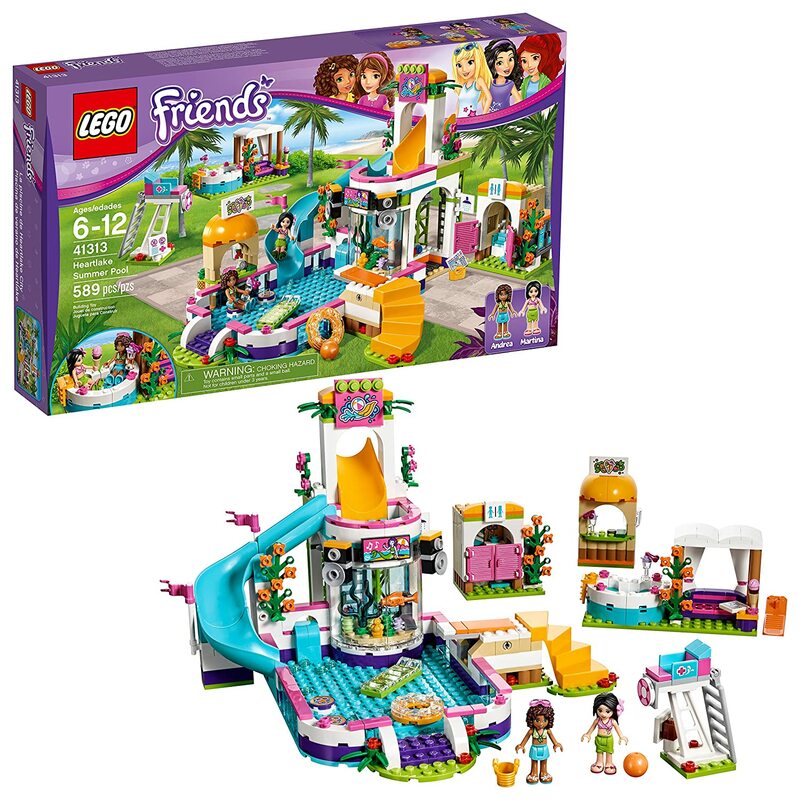 Collecting Lego Friends Sets is so much fun for 6 year old girls. 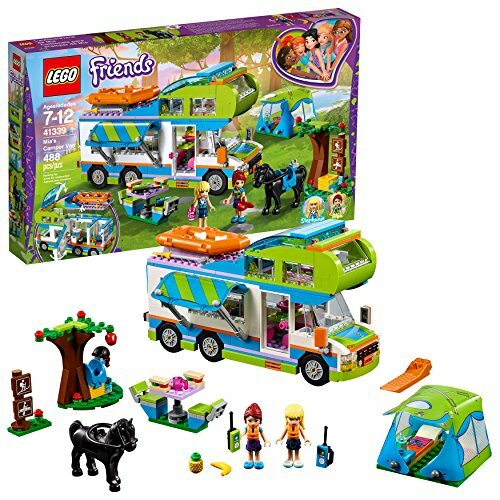 Movable pieces make this set fun to remodel, redecorate, or entirely rebuild. 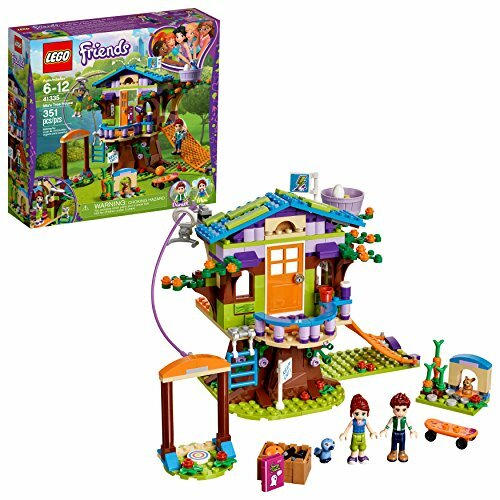 Collect and combine other LEGO Friends sets to create an entire fun-filled LEGO town. Legos are great gift ideas for 6 year old girls. 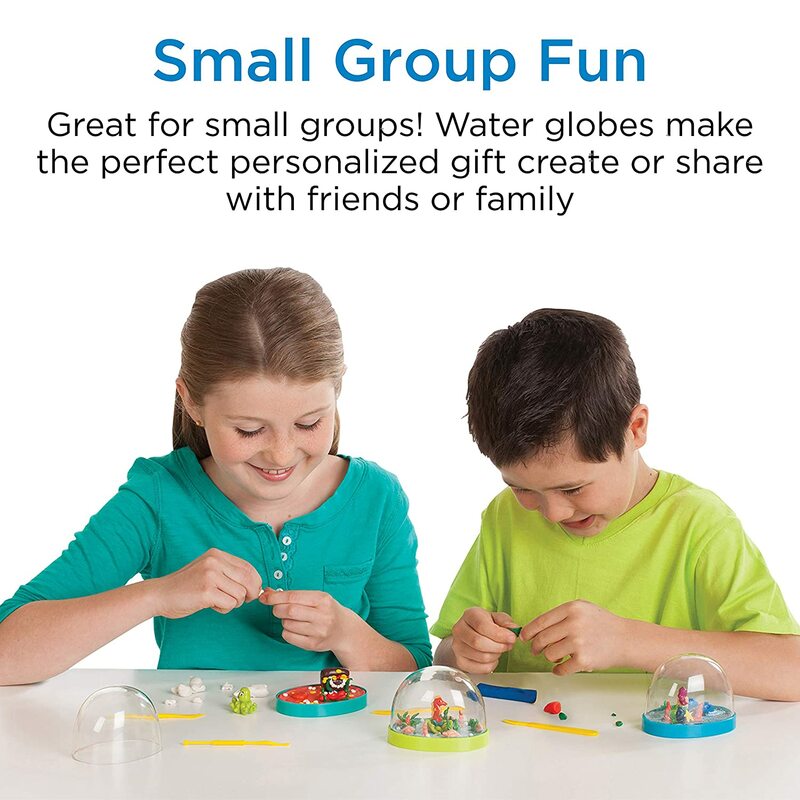 They will have so much fun playing for hours with their friends. Legos are always a best gift for 6 year old girls. Kids like to own watches, just like we do. 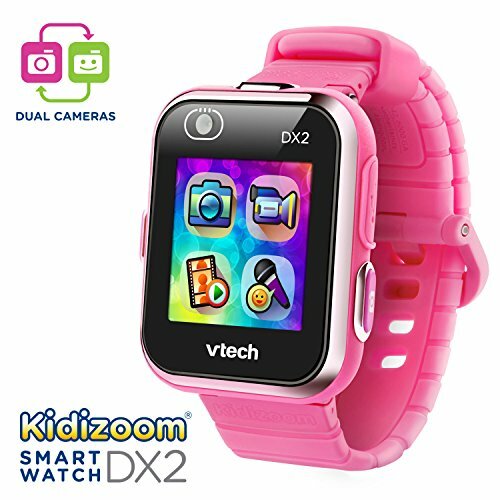 I really like this cool Activity Tracker, it gets kids moving. 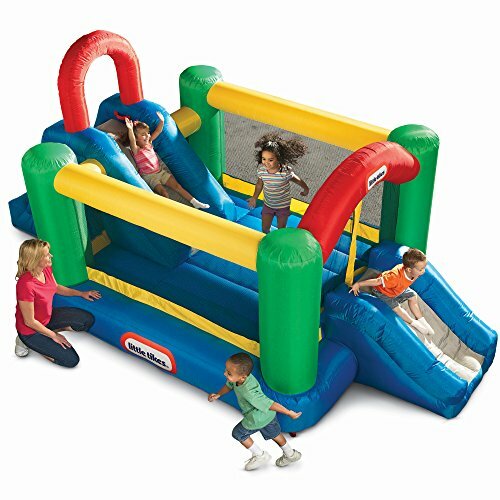 It encourages physical activity, kids can earn rewards. 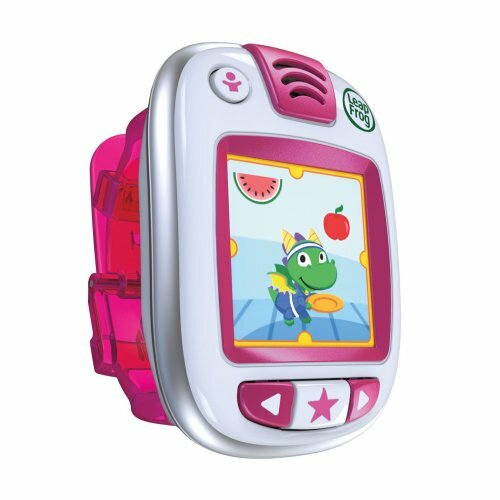 The LeapFrog Leapband comes in different colors and it’s splash proof, but not waterproof. 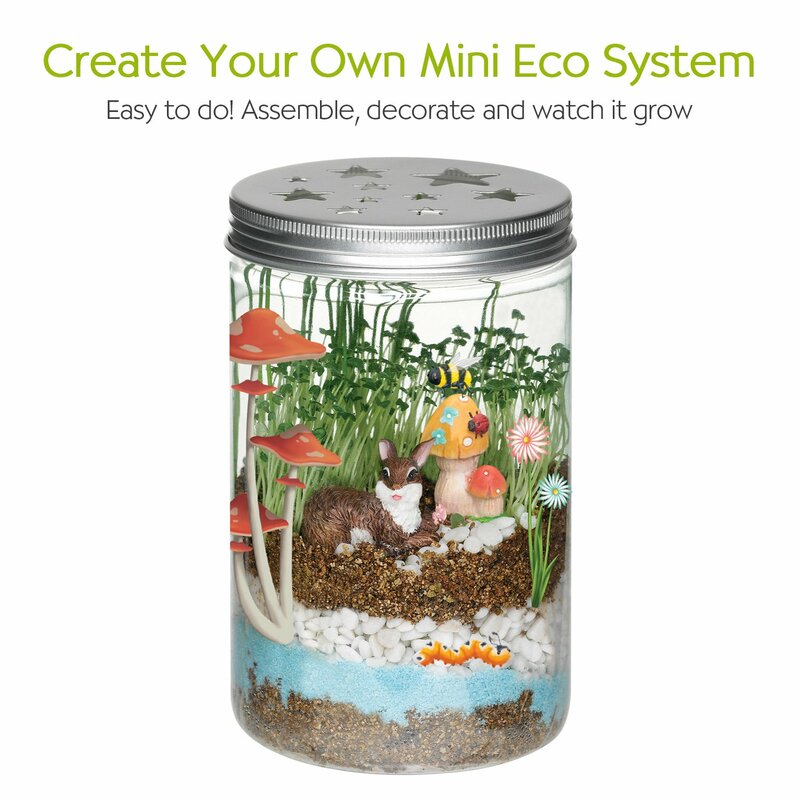 They are pretty popular right now for kids, and would make a fun gift for a 6 year old. Our little one Loves to play dress up! She has a box full of different costumes, shoes and Princess Tiara's. These are just some of the things she loves! I absolutely Love this dress!! 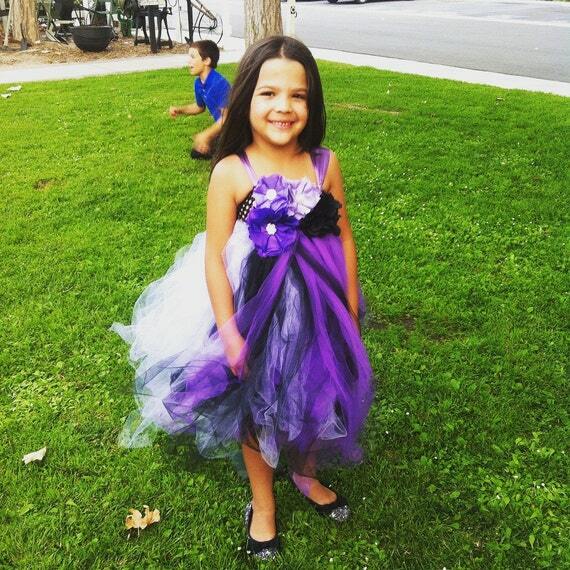 This is my adorable niece; she got this dress for a wedding she was in. I think the tulle dress is super cute and affordable. She looks absolutely adorable in her dress, just like a little Princess! 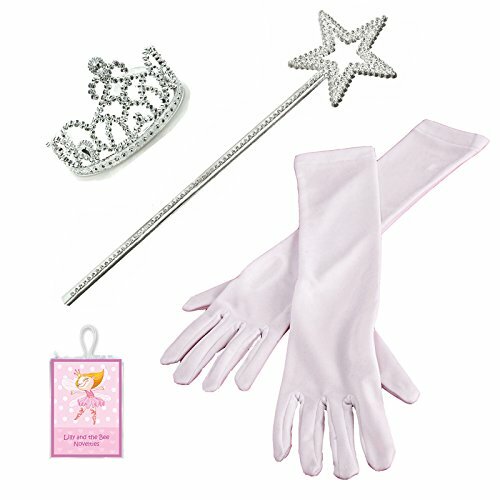 All little girls like to play Princess, so after the wedding we got her play shoes, gloves and the princess tiara. Now she loves to play dress up in her pretty tulle dress. 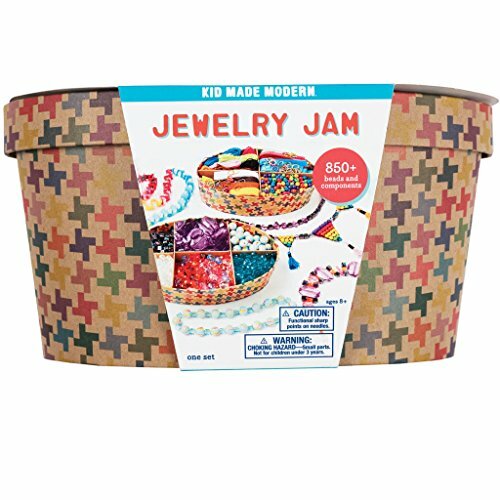 Crafts are always a great gift idea for any child. It helps them to get super creative and it shows them just how talented they are. My niece and I love doing crafts together!! 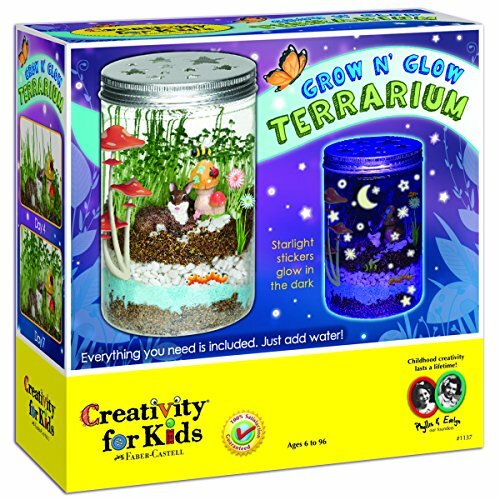 The Craft Kits are super cool ideas to give children as gifts. 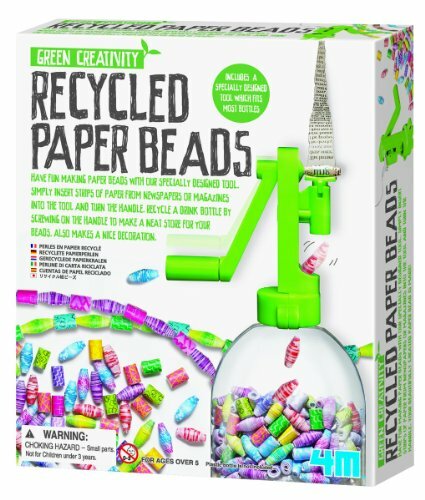 They are super popular, #1 best sellers and tons of creative fun! 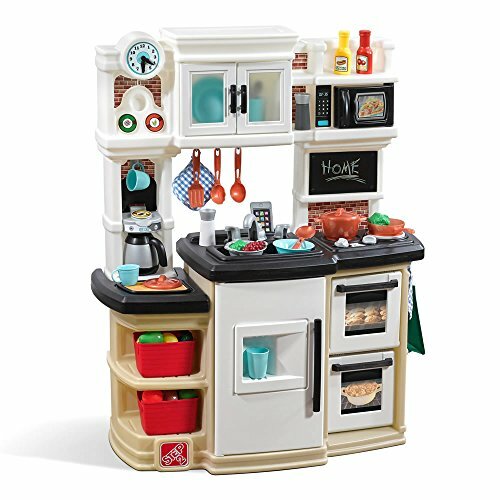 ​I know my niece loves to pretend to cook for me; she makes me something special every time I’m over. 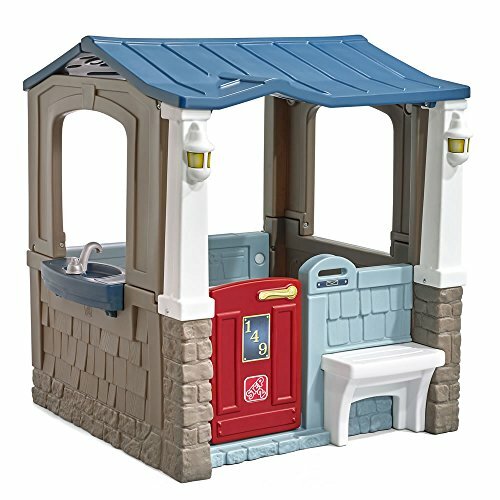 She loves her Playhouse & Play Kitchen, all her friends love to come over and play in it too. 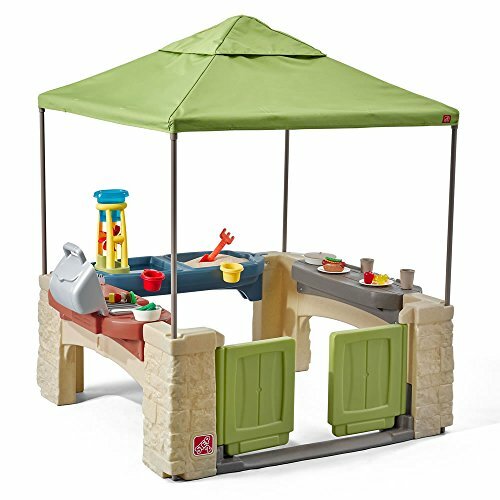 Sometimes they have pretend BBQ’s. Scooters are such great fun for girls. You can be sure she will be getting plenty of exercise on her new scooter. 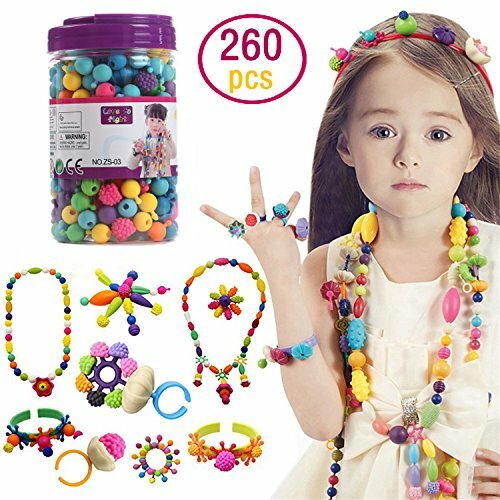 This is a best gift for girls 6 years old. Scooters have been around for years and still they are a top ten gift for 6 year olds girls. Razor Scooters have been around a long time. 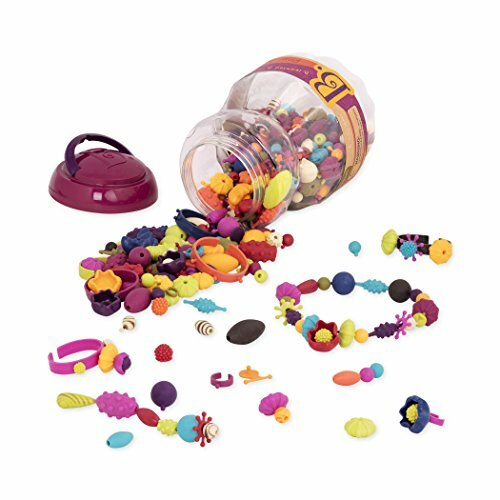 They are super fun and they are really durable. 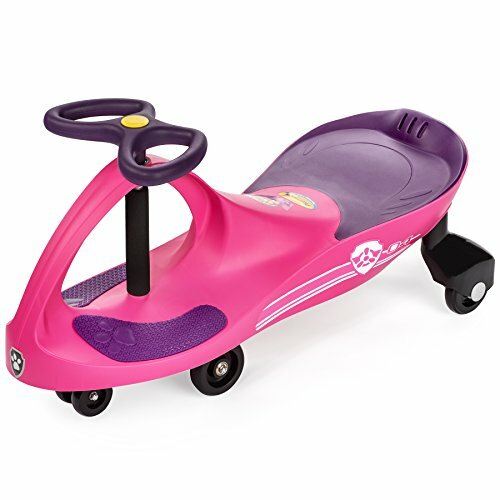 I Love this scooter for my niece, she rides it all the time and said it's one of her favorite gifts! It's a super popular gift for Christmas! 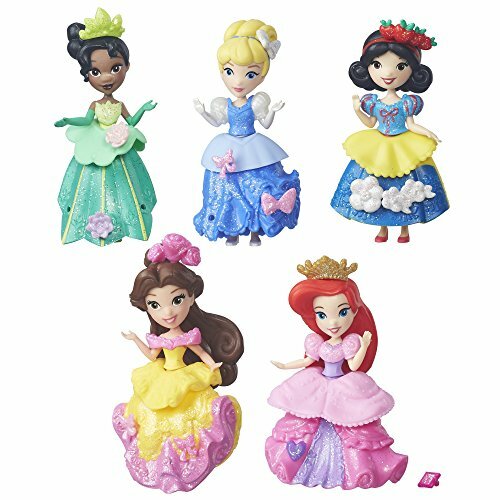 Disney Princess dolls are always fun to play with! Little girls love to collect the movie inspired dolls! 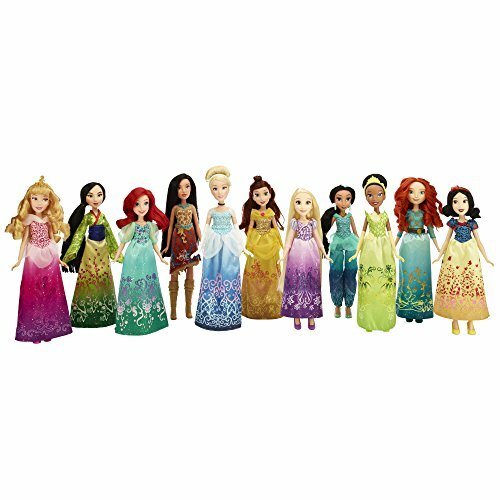 Girls can create their very own fairy tale with these cute dolls! 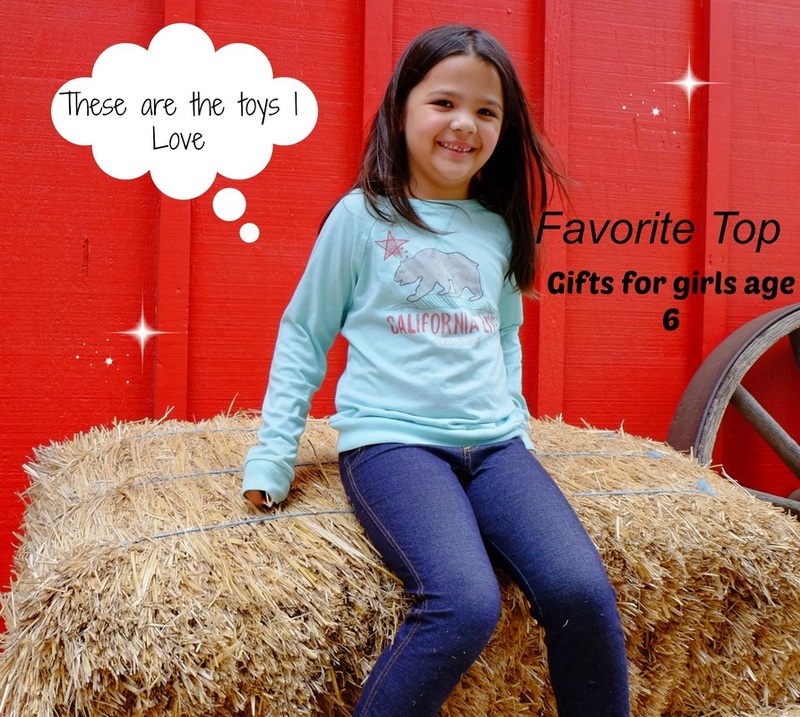 Are you looking for Christmas gift ideas for a 6 year old girl? 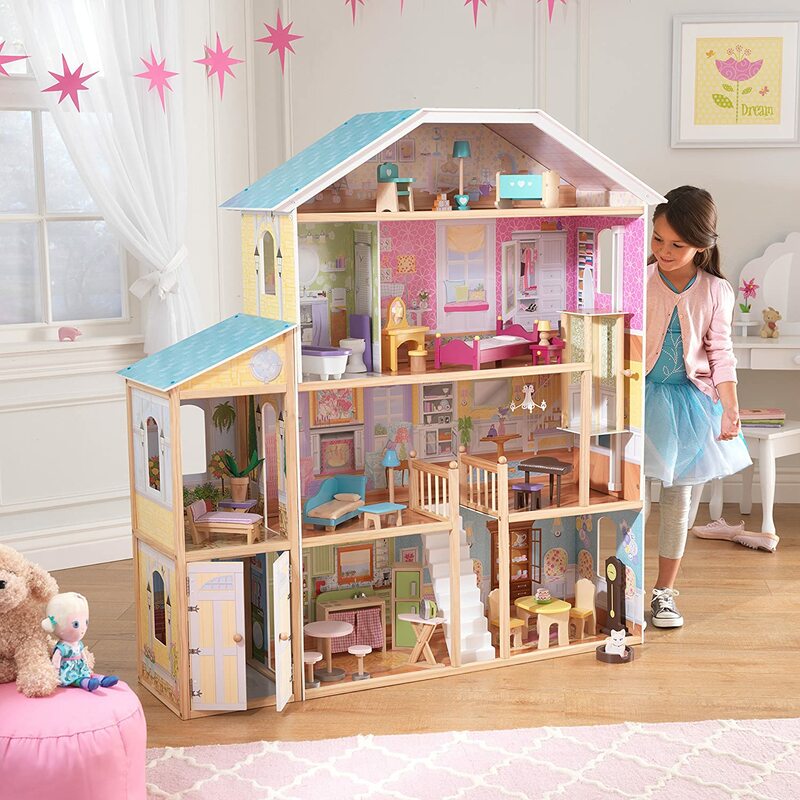 What little girl wouldn't want a KidKraft Dollhouse? 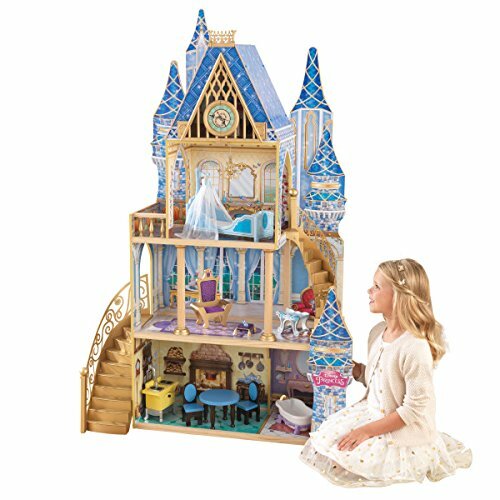 This adorable mansion includes 34 furniture pieces, including a grandfather clock. It has a gliding elevator and a cute little kitten. 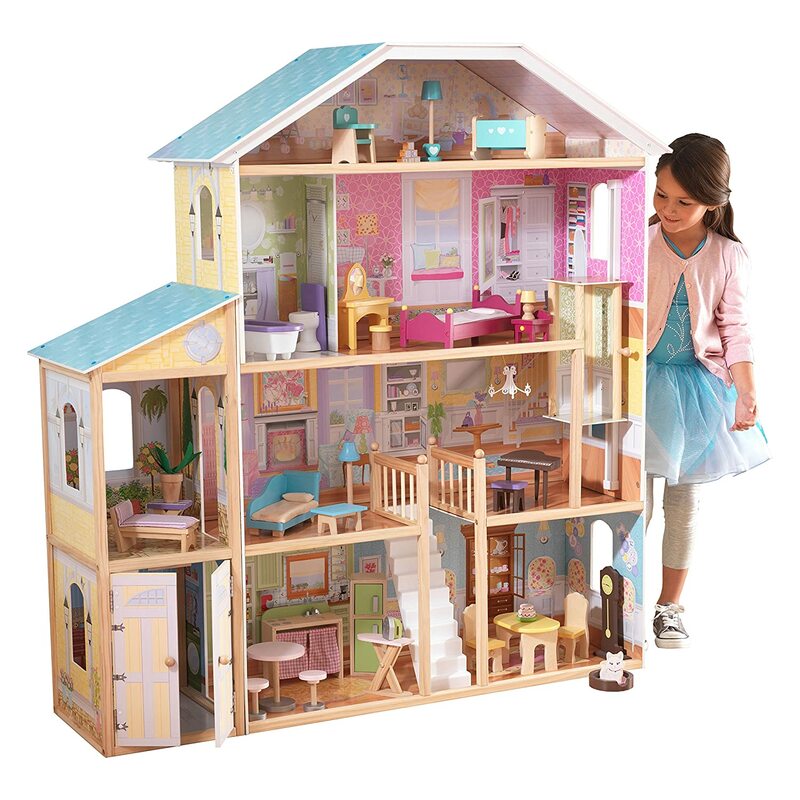 It's a perfect home for their Barbie doll and all of Barbie's friends. 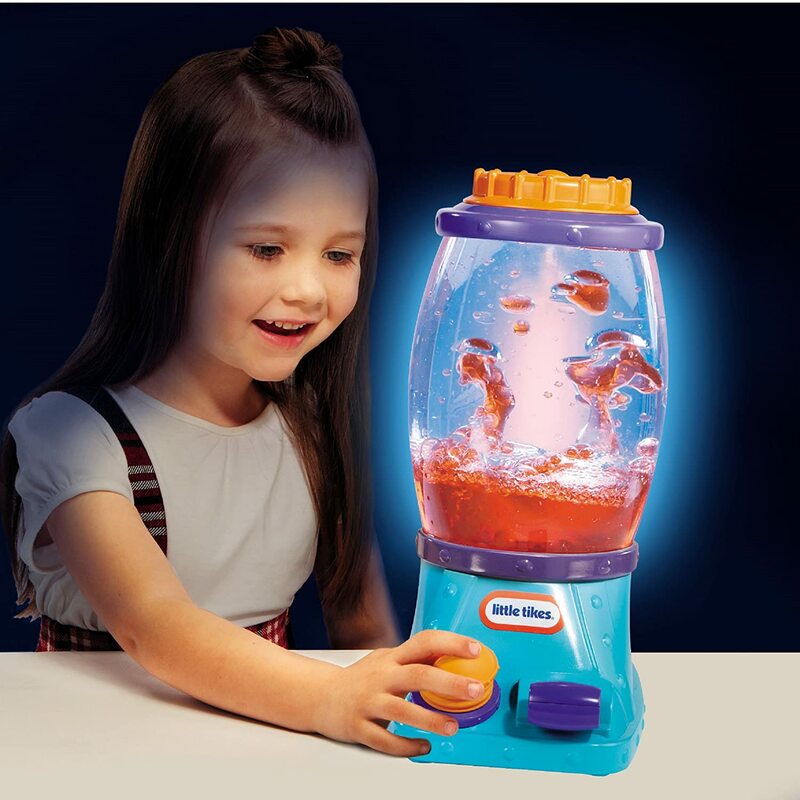 A best toy for a 6 year old girl. 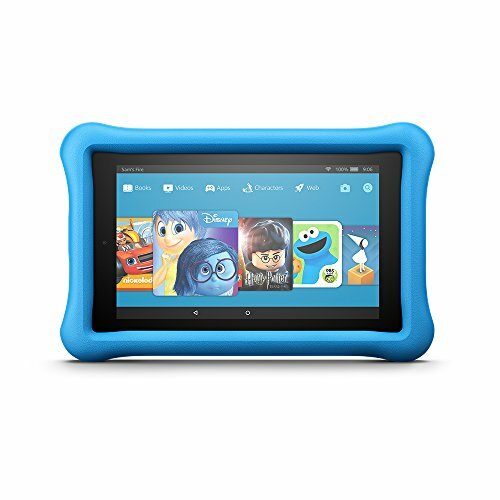 These are the Hottest gifts for a six year old. Everybody loves their favorite fuzzy friend. 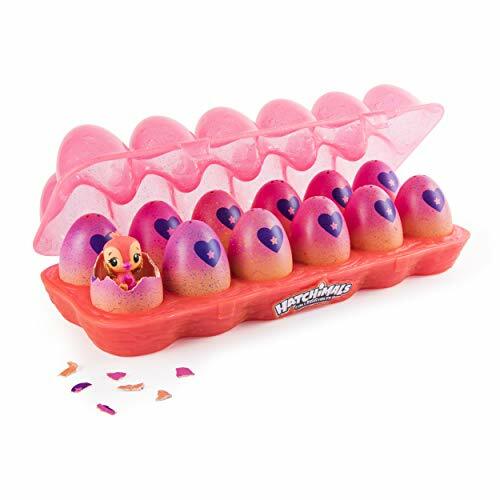 When your Hatchimal is ready to hatch, you can encourage it with your touch. 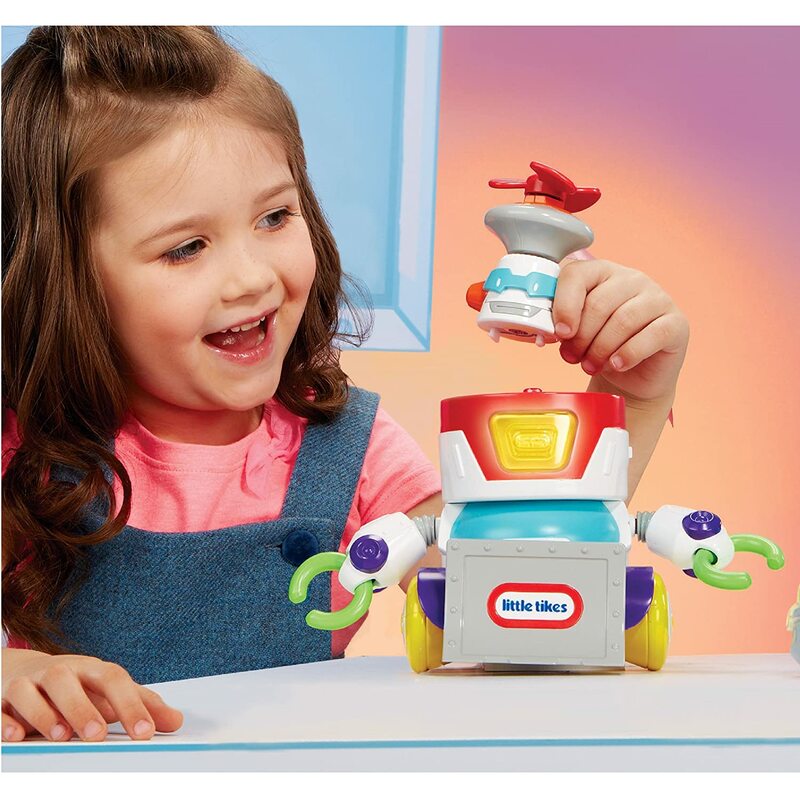 You can teach your cute friend to dance, walk, play games and talk. 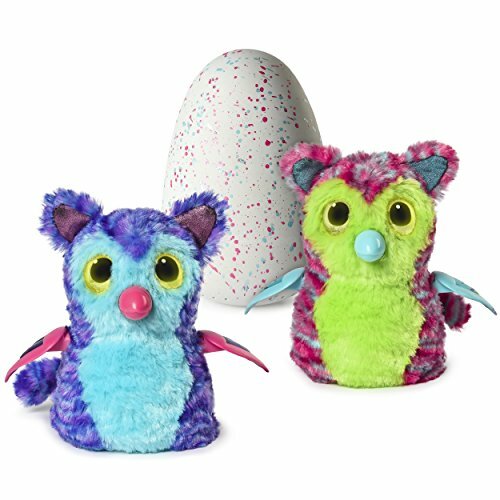 My niece Loves her Hatchimals! The PAW PATROL PlasmaCar has won multiple awards; it is truly a superior toy. 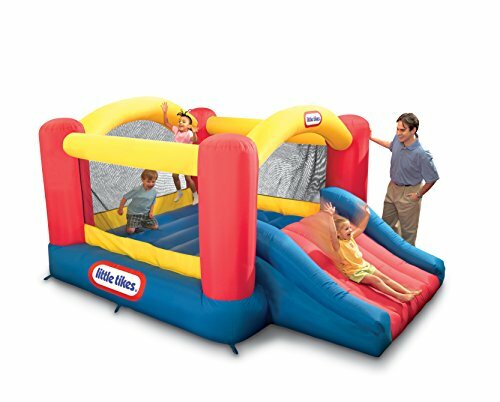 Six year old girls will have a blast cruising indoors or outdoors. The PlasmaCar requires no batteries, gears, or pedals--simply hop on and go. Turning the steering wheel propels the vehicle forward and steers it as well. Games for girls 6 years old are always a nice choice. 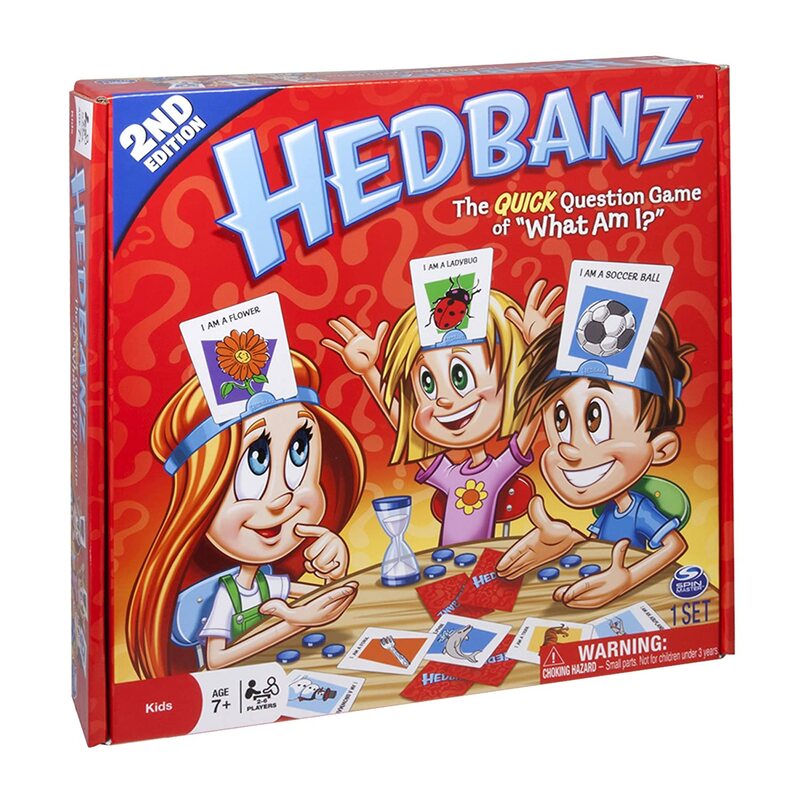 Board Games will keep them entertained for hours. These are some of the award-winning games we like to play. Here is our list for the top games for 6 years old girls. 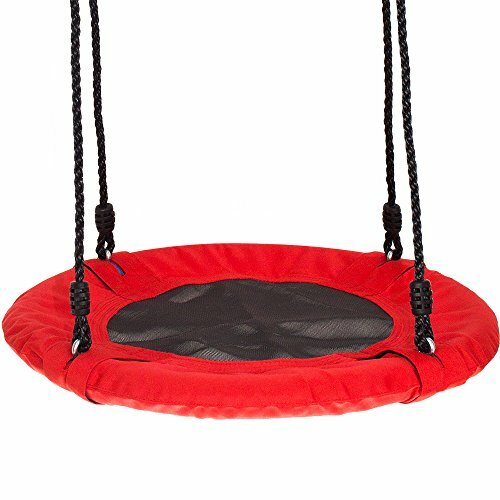 Designed to improve muscles and minds, balance & coordination. 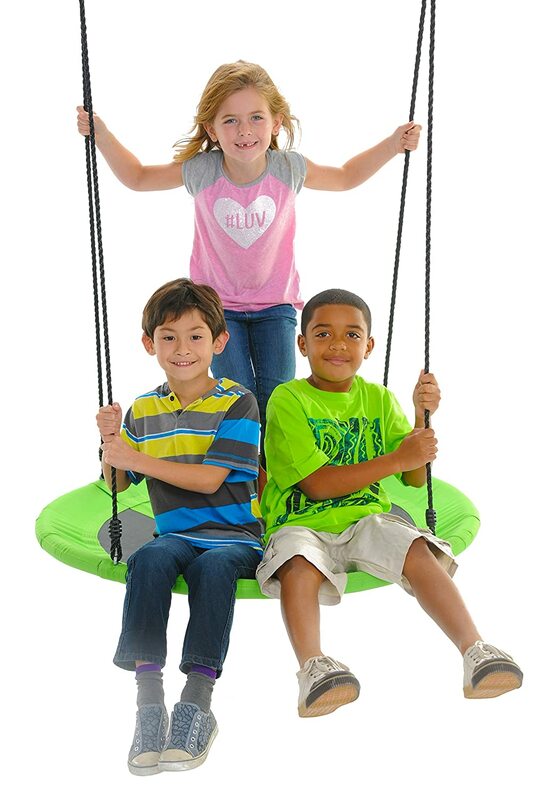 The Spooner Freestyle Board is for exciting play, and mastering tricks that will challenge and delight kids. 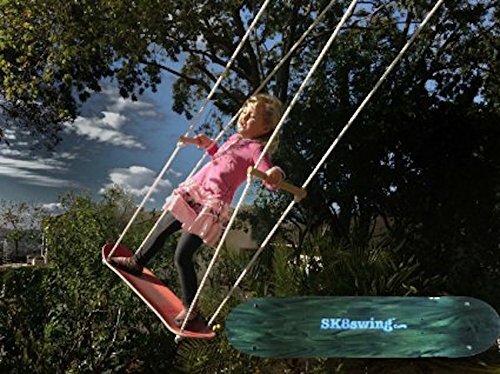 This Balance Board works both indoors and out, you can sit, rock, flip, stand & spin. 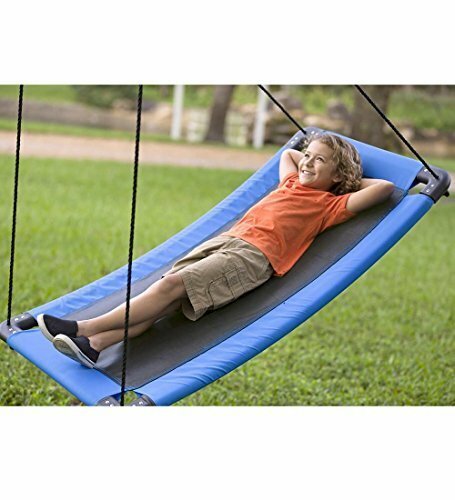 It is so good for developing reactions and reflexes. 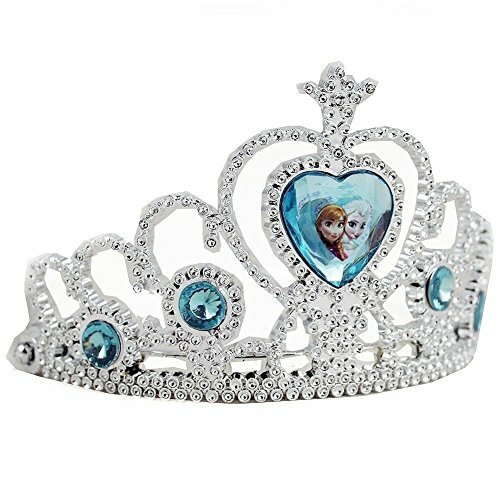 This would make a great gift for a 6 year old girl. 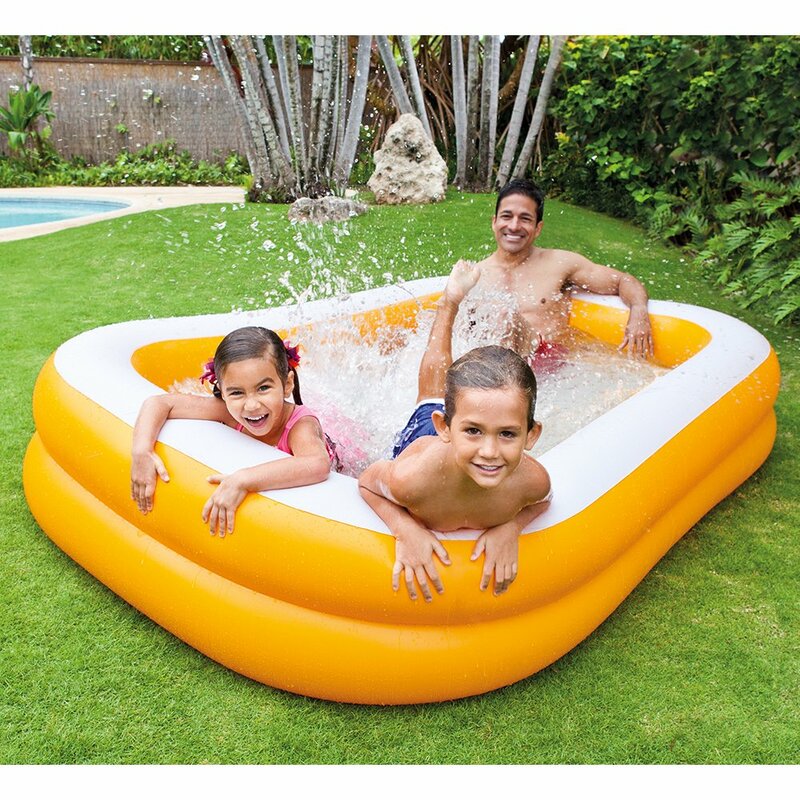 Girls will have a blast on their Spooner Board. 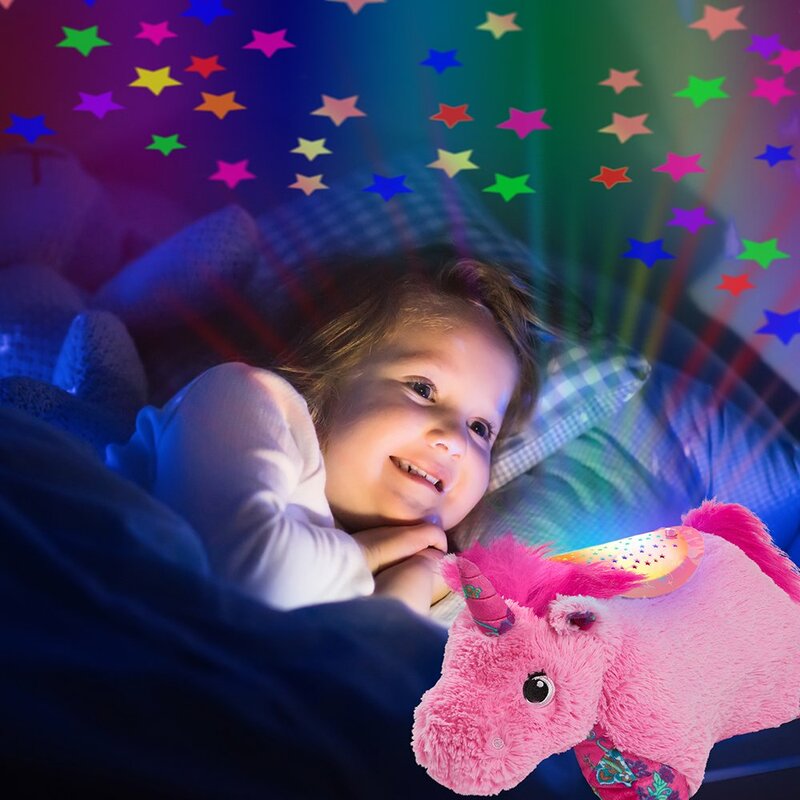 Snuggly Pillow Pets Dream Lites are a best gift for girls 6 years old. Pillow Pets are the one gift they want the most. Turning their room into a starry night. 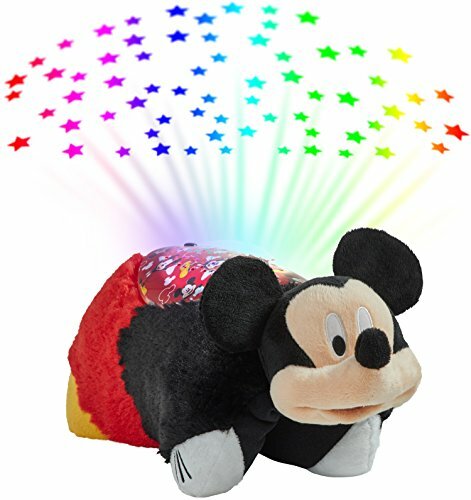 Pillow Pets have won several awards for being a child-friendly product. Pillow Pets are cute, huggable and fun. They make great 6 year old girl gifts. 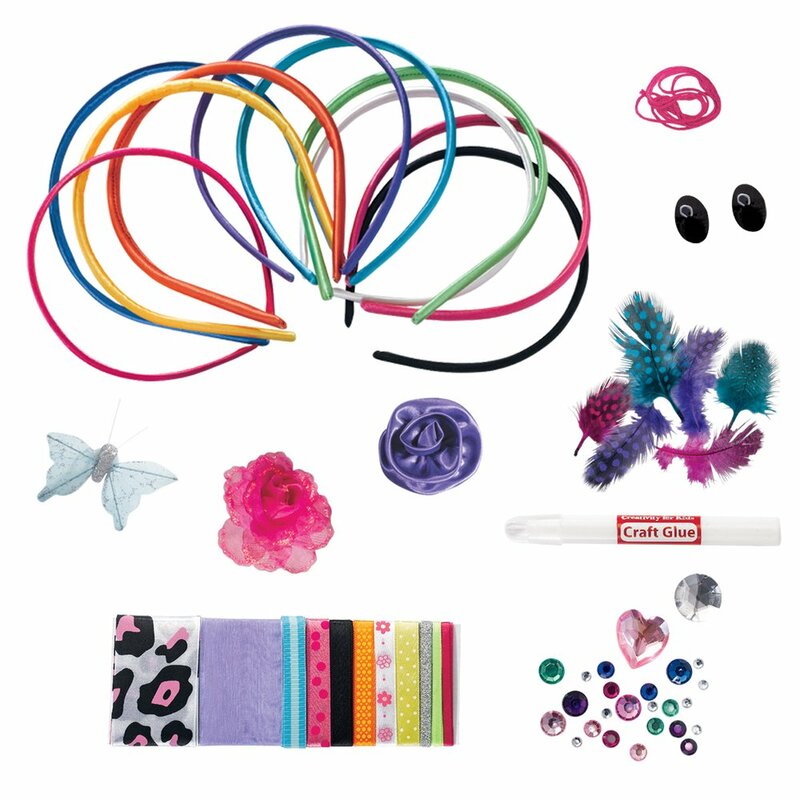 The Stick n Style Blinglets gives you everything you need to "Bling" sparkle and shine. 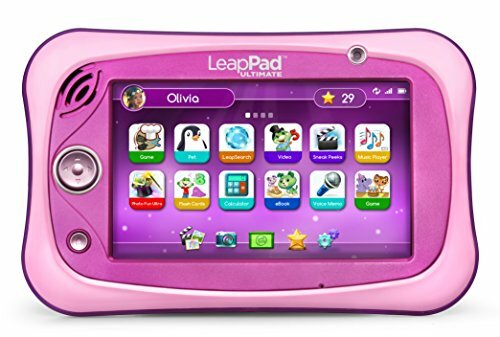 This is a great gift idea for 6 years old girls. 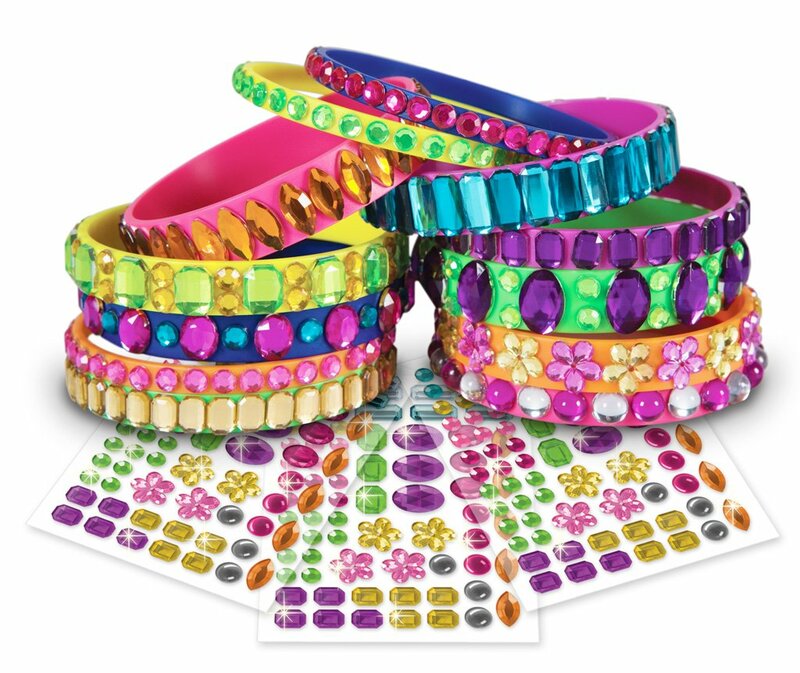 They will have hours of fun being creative with their Stick n Style Blinglets, making such cool bracelets. 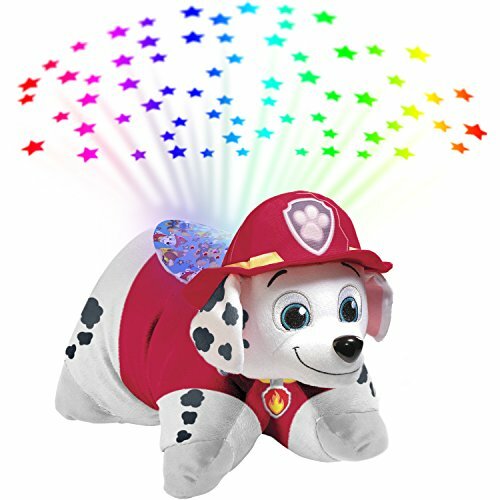 Blingles is one super fun toy, that my niece really loves! 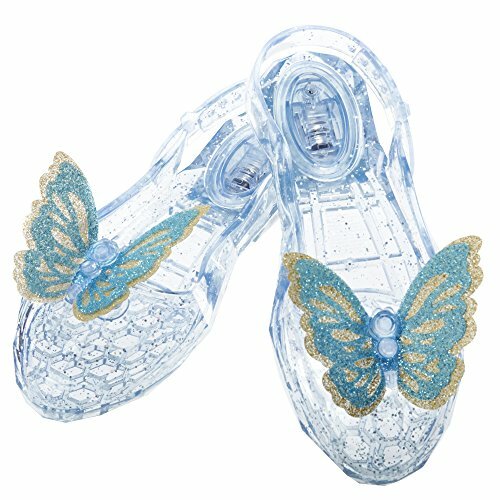 Over 700 sparkling jewel stickers. The Kindle Fire for Kids, gives girls their own tablet that keeps them engaged while they learn. 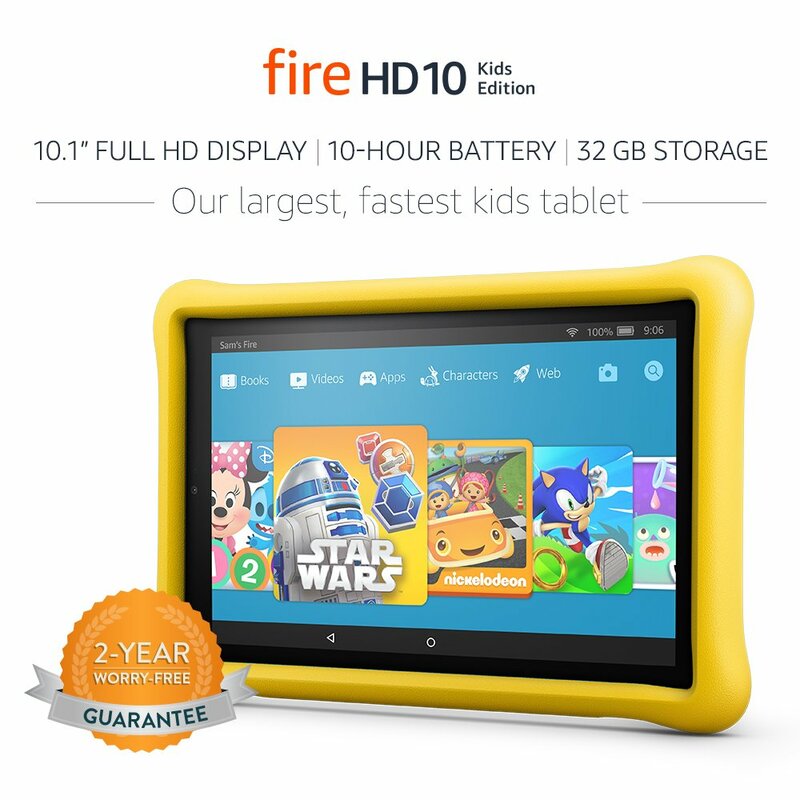 With the Kindle Fire 8 tablet they can enjoy e-books, music, photos, videos and lots of fun games for girls 6 years old. This is a great Christmas or birthday gift idea. 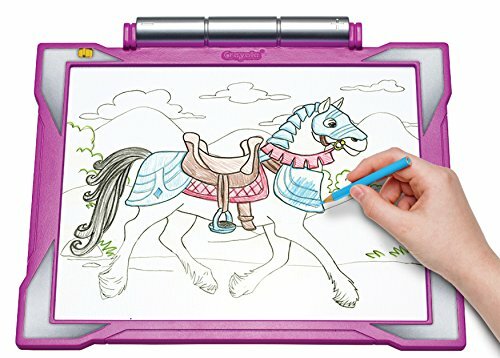 Tablets are just a great electronic learning toy offering hours of fun. 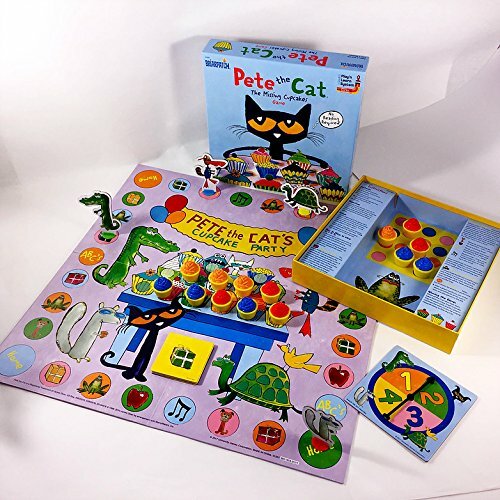 You choose fun educational games for girls 6 years old. 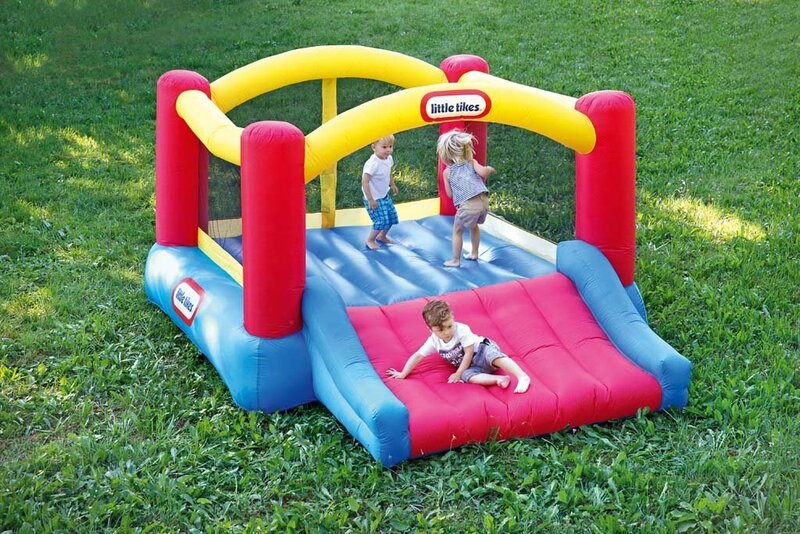 It's time for some big, bouncing fun! 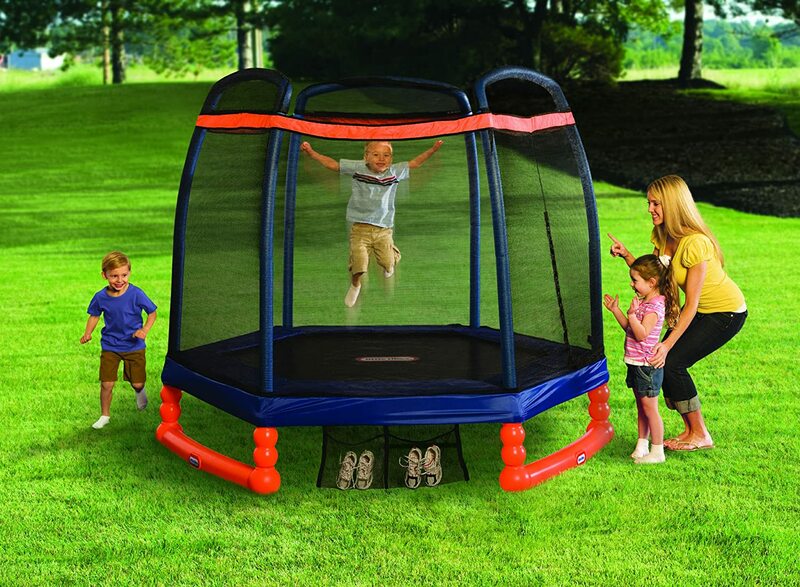 This bouncy Trampoline is both durable and padded. 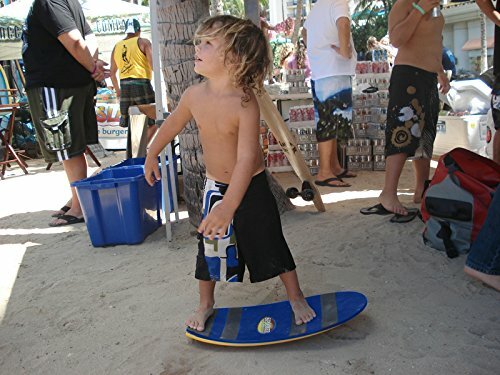 It's so important for kids to stay active. 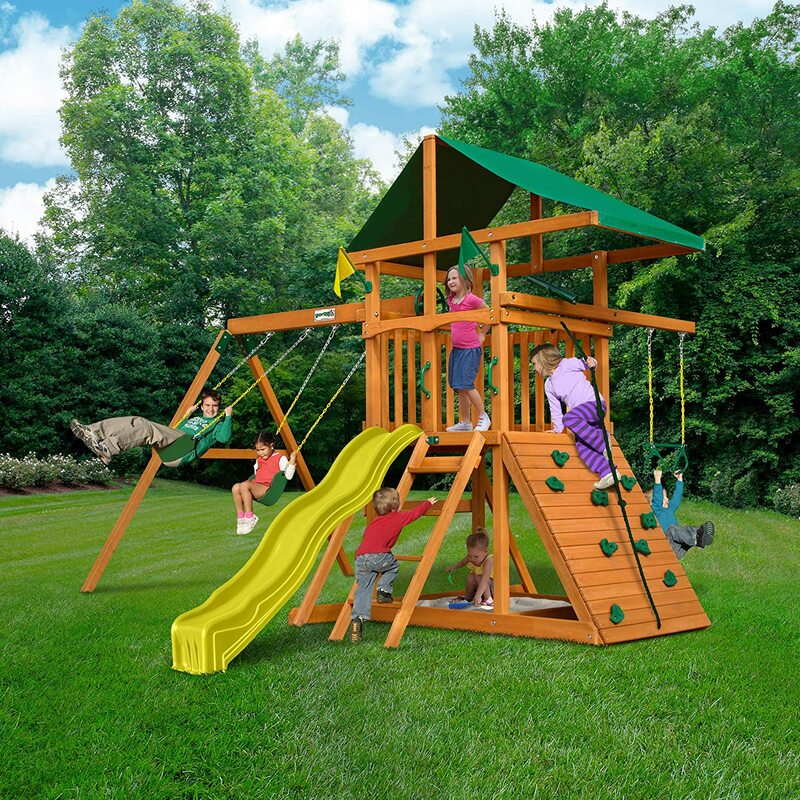 This is a great gift for a 6 year old girl, she will get plenty of physical activity which is so good for them. 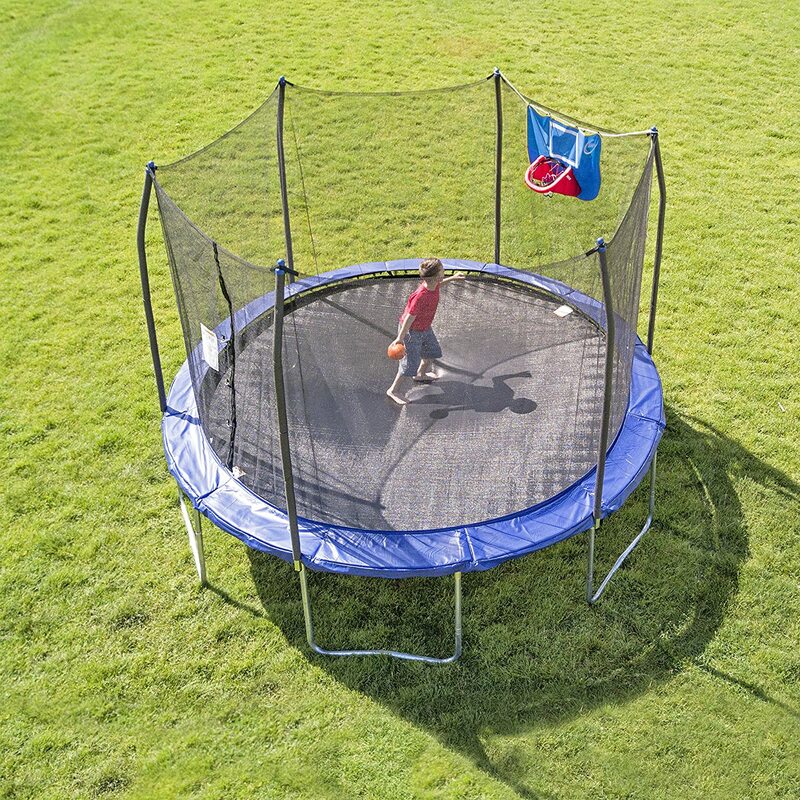 This Little Tikes 7' Trampoline is just the perfect size for girls age six. Girls are super interested in science too! 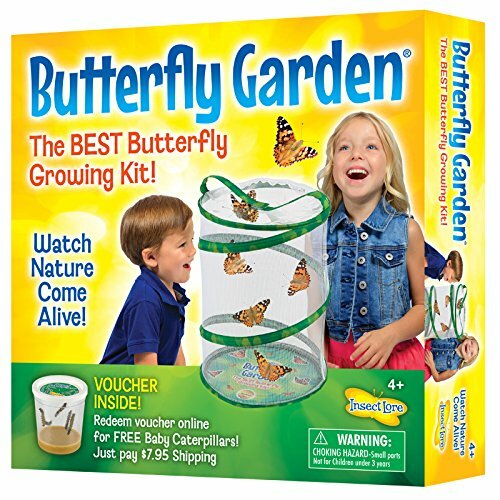 These kits provide hours of fun, tons of learning and it intrigues their curiosity. 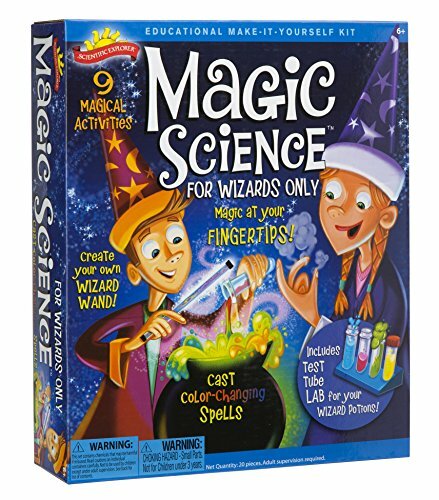 These Science Kits are perfect for the child that is home schooled or they can be just for fun. While playing with the science kits the kids are always learning.